Adj. Professor Dr. phil. habil. 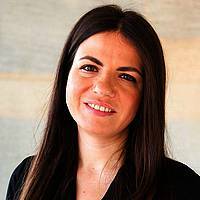 Marion Grein, head of the German as a foreign language/German as a second language Master programme at Johannes Gutenberg University in Mainz, is a linguist and educationalist. Marion Grein's talk will provide a graphic illustration of how learning occurs from the neurobiological perspective. How does the brain learn? How does language learning work? It will become clear that motivation can quite obviously be measured, and also that learning is a very individual process and that every one of us has quite specific styles of learning. She will also show that the learning culture initially has an impact on how successfully languages are learnt. Please note this talk will be given IN GERMAN. Marion Grein heads the "German as a foreign language/ German as a second language" Master programme at Johannes Gutenberg University in Mainz. 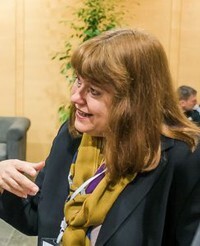 After studying comparative linguistics at the University of Mainz, culminating in the award of her doctorate, she gained her first post-doctoral lecturing quallification in general and comparative linguistics at the University of Munster before going on to gain her second post-doctoral lecturing quallification in German as a foreign language at the University of Mainz. Her research focuses on neurodidactics (language teaching research), linguistic typology, intercultural communication and digital learning. At present, she is intensively focusing her attention on age as a factor, different learning biographies and styles of learning (preferences for social forms, processing and types of exercises and tasks) and the impact they have on foreign languge teaching.